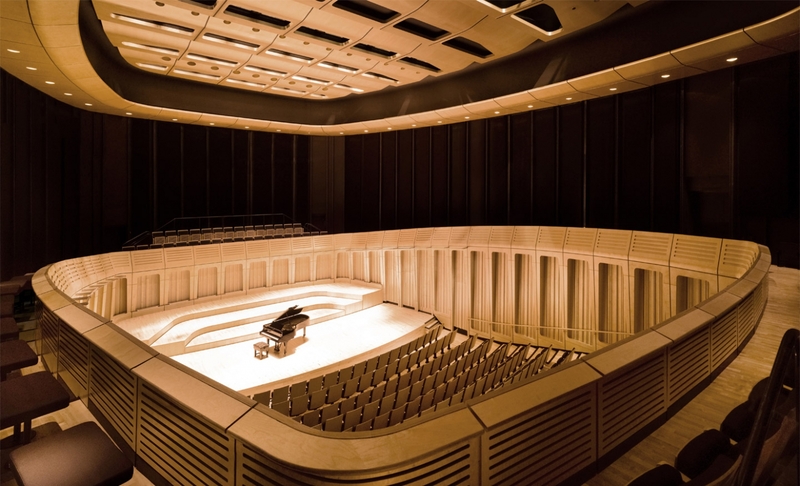 The Royal Welsh College of Music & Drama is Wales’ national music and drama conservatoire. By wrapping an existing building with a striking new façade, the existing college building has been transformed and modernised. 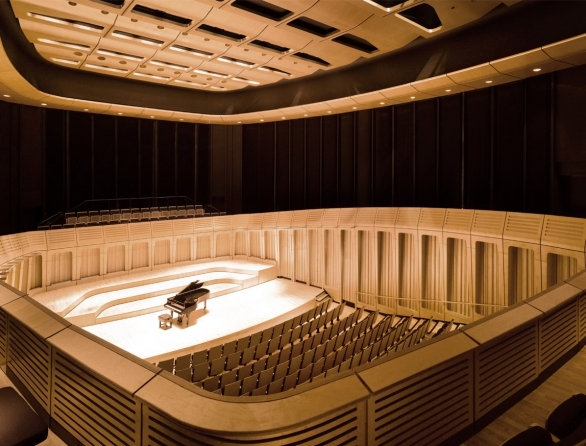 Won in international competition in 2007, and completed in 2012, the project consists of an acoustically excellent 450 seat chamber concert hall, a 160 seat courtyard theatre, along with studio, teaching, rehearsal and foyer spaces. The new buildings are situated inside the Grade I listed Bute Park. Directly across the road from the new building is Cathays Park, the civic centre of Cardiff, containing a number of important listed buildings. The project was funded by the Welsh Assembly and designed to be BREEAM ‘excellent’. 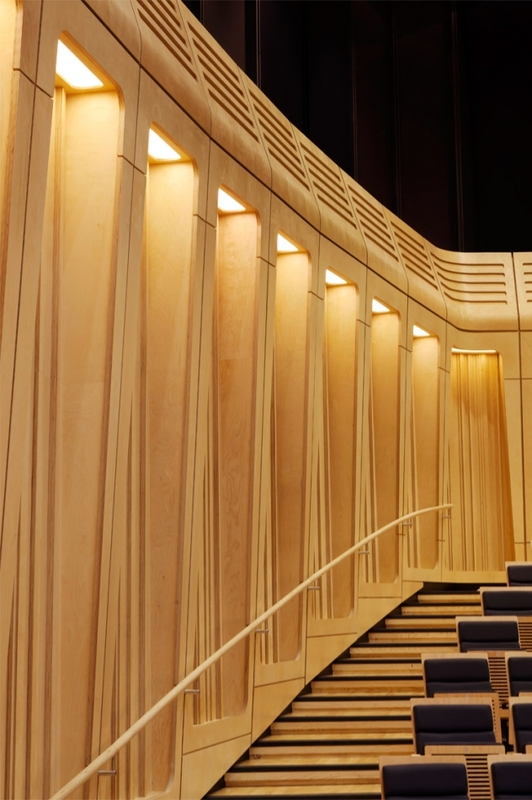 Our approach was two-fold, designing the internal performance spaces from the ‘inside out’, looking at their acoustic and theatrical functionality as major drivers, whilst in parallel designing from the ‘outside in’, thinking about the civic presence of the building in its urban context. 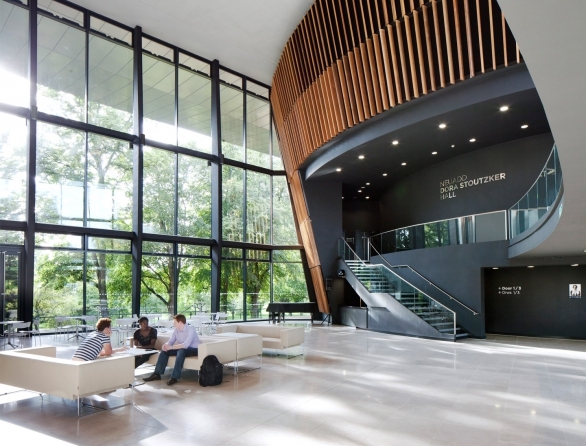 The design focuses on the core needs of the school community, namely an acoustically impressive sequence of performance and learning spaces, encouraging and motivating the occupants. Although the building appears to be a single element, it is in fact three separate new buildings and a renovated existing structure. The client was very specific that the complex should act as a catalyst for positive cultural change and improve departmental cross-fertilisation. The new entrance to the college opens on to Bute Park and a treble-height internal arcade forms a new communal spine between the new and old accommodation, functioning as exhibition space for the Design & Costume Department and also acting as the ‘lungs’ for the scheme by naturally ventilating the public spaces. 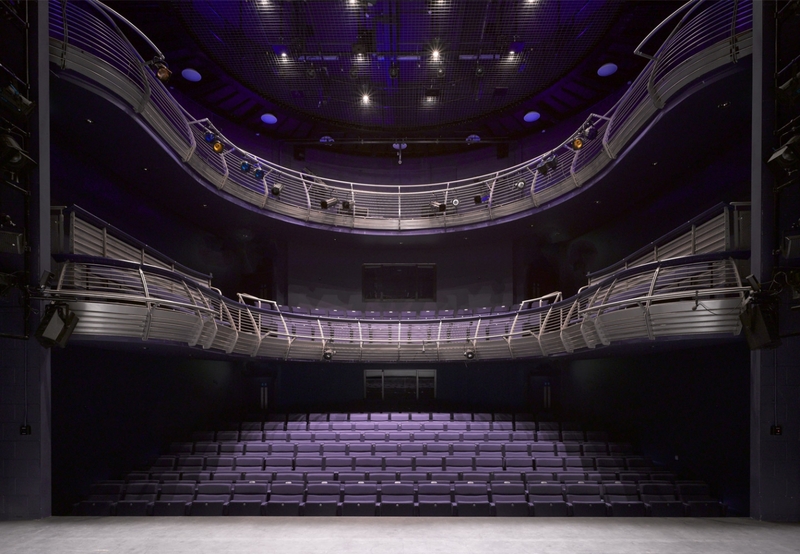 From the inside out, each performance space works differently and is designed separately. The final scheme unites the individual components of the building under a single roof, creating a whole, yet expressing the differing functions within. 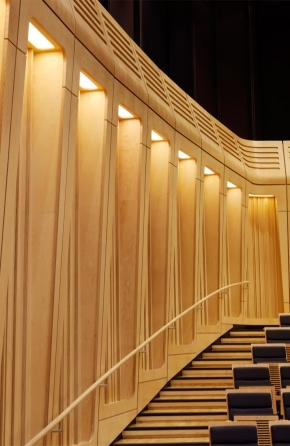 The drama building forms a new façade to the street and the recital hall, clad with a timber screen of cedar wood slats, sits adjacent to the woods. Natural interior finishes of stone and timber provide warm and tactile surfaces for the spaces. 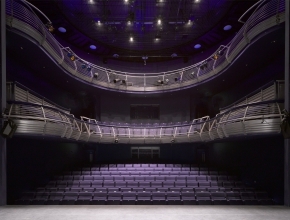 The interior of the courtyard theatre is the exception with its use of rich purple-coloured finishes and fabric throughout. All materials have been carefully detailed to enhance the acoustic performance of each room.